In Chambery. Several excursions and activities around Chambéry will be organised. We have reserved a quota of rooms at the Kyriad Hotel with attractive prices: single b&b rooms (€68) or superior apartment b&b (€80) which can be shared by 2 participants. Prices include breakfast. Rooms are reserved until 30 April 2018. The Kyriad Hotel is comfortable and located in the city center of Chambéry. A staff week to develop your class practices in French as a foreign language (FLE). Teachers of French as a foreign language and second language, responsible for the courses, educational frameworks. The programme will begin on 1 July and end on 12 July 2019 (possibility of only one week, from 1 to 5 or from 8 to 12 July 2019). The exact repair of the various modules will be given during the month of March. The exact distribution of the various activities will be given in the course of the month of February. It does not include: accommodation, transportation to reach or leave Chambéry, lunch and 3 dinners, and all additional personal expenses. We pre-booked a quota of rooms at the Kyriad Hotel offering attractive prices: single room B&B (€66) or superior apartment B&B (€78) which can be shared by two participants. The Kyriad Hotel is comfortable and located in the Centre of the city of Chambéry. All excursions organized during the staff week will depart from the Hotel Kyriad. To book a room, please contact the hotel directly by email, telephone or by making an online reservation and stating "ACCENTS staff week." Why do international mobility during studies? Where to go? What formalities to accomplish? How to finance your mobility? etc. : as many questions as you may ask yourself when you are thinking about this opportunity to spend a semester or a year internationally. To answer your questions, former students who have made a stay abroad and student mobility professionals come to your meeting to present you the various elements that will help you to build your project serenely. A "day of international mobility" is organised on each campus and is organized in the form of a series of lectures. For a period of one hour, these are primarily intended for students of the Savoie Mont Blanc University but also for the staff, especially the Exchange managers and the international relations officers. They aim to provide the information that is useful to students so that they can make the best use of mobility abroad. 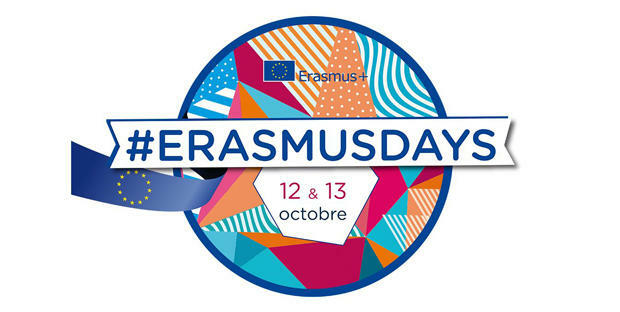 Annecy campus: Friday, October 12th from 9:40 to 15h20 – conferences organized within the framework of the erasmusdays. How to finance your stay abroad? The Savoie Mont Blanc University organizes its international week from October 10 to 19. In partnership with the city of Chambéry and the economic Agency of Savoy, we organise a welcome evening for international students "Welcome Party" on Friday, october 19, 2018. If you live in Le Bourget-du-Lac or in Annecy: we organise a shuttle to attend the evening. More information to come by email! How to participate? Registration required from Elodie (elodie. Silvestre (at) Univ-smb.fr). For the staff. the. 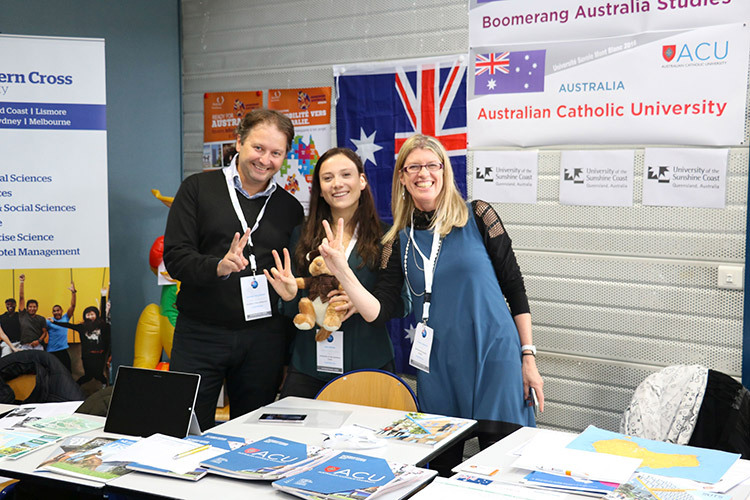 s of the University Savoie Mont Blanc, thematic workshops will be set up to allow teachers and staff of the institution to better know the slopes internationalization of training and research. You are a partner of a foreign University and you want to discover our campuses? You participate in the EAIE show from 11 to 14 September in Geneva and you wish to meet us? 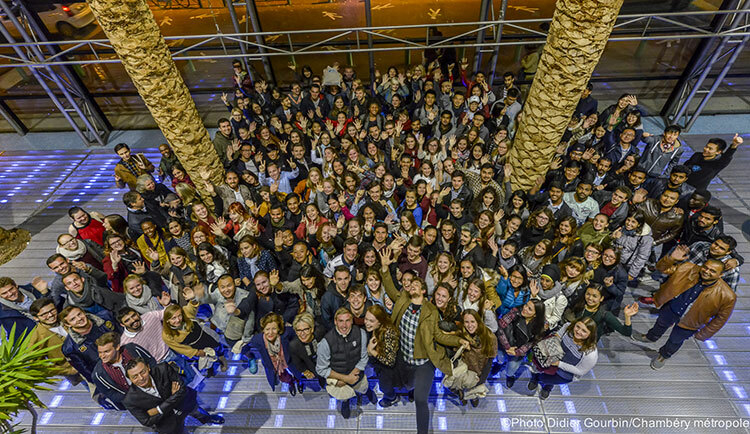 This CAMPUS TOUR is made for you! September 11th, 2018 from 8:30 am to 6:00 pm. Visits of the 3 campuses of the University of Savoy Mont Blanc and speed-meetings with our colleagues teachers and administrative. If you wish to participate, you can register before July 25th, 2018 via this registration form. For more information about the event, click the image. 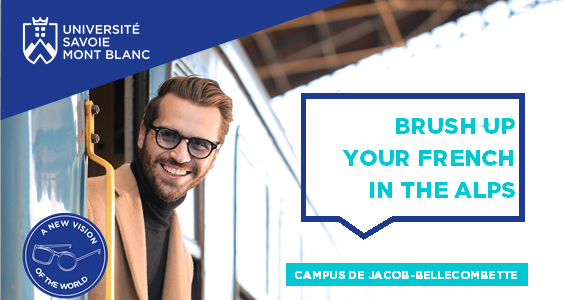 You are a partner of a foreign University and you want to improve your level of French in one of the most beautiful regions of France and discover the French culture? This staff week is made for you! This staff week offers a total immersion and is therefore not suitable for real beginners. The program: 20 hours of intensive French lessons, as well as cultural activities. For more information, click on the image! From 18 to 22 June 2018, in Chambéry, Savoie. Several excursions will be organized to discover the region. Excursion in the mountains or near the Lakes. This price includes: French lessons, excursions and 2 dinners. This price does not include: accommodation (6 nights), transportation to Chambéry, meals and any other personal expenses. Why do international mobility during studies? Where to go? What formalities to accomplish? How to finance your mobility? etc. : as many questions as you may ask yourself when you are thinking about this opportunity to spend a semester or a year internationally. To answer your questions, former. s. students who have made a stay abroad and professional. the. s of student mobility come to your meeting to present you the various elements that will help you to build your project Calmly. A "day of international mobility" is organised on each campus and is organized in the form of a series of lectures. For a duration of one hour, these are primarily intended for students of the Savoie Mont Blanc University but also for staff. the. s, in particular to the Exchange managers and the international relations officers. They aim to provide the information useful to students so that they can make the best use of international mobility. The Savoie Mont Blanc University organizes its international week from 17 to 21 October. 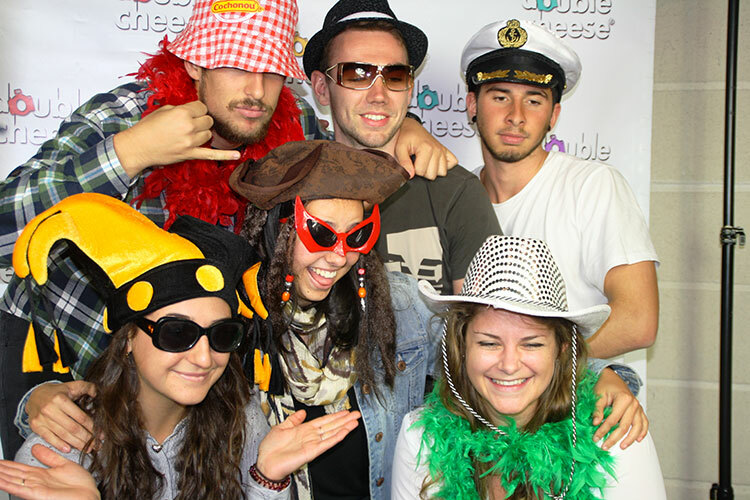 In partnership with the city of Chambéry, INSEEC, ISEFE and the economic Agency of Savoy, we organise a Welcome evening for the international students "Welcome Party" on Friday, october 20, 2017. If you live in Chambery, Jacob-Bellecombette or Le Bourget-du-Lac: Go directly to the Town Hall square or to the Vélostation at 4:15 pm or the carousel at 5:45 pm. If you live in Annecy: We suggest you to join us by train. Buy your tickets and we'll pay them back. This major event will be attended by many international players : foreign partners (approximately 70 partners expected), staff. the. s of the University Savoie Mont Blanc involved in international relations and student. e.s. A week that will be a new opportunity to promote exchanges between students, teachers, partners and to develop networks of collaborations. About thirty partner establishments will be represented. You are all cordially invited to come and meet all the partners on the occasion of the international mobility show which will take place in the Hall of theIUT of Annecy on Wednesday 18 October from 1.30 pm. For staff. the. 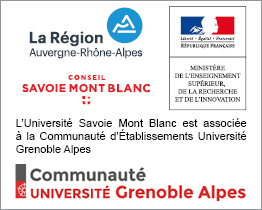 s of the University Savoie Mont Blanc, workshops on Exchange of good practice will be put in place to allow teachers and staff of the institution to better know the slopes internationalization of training and research. 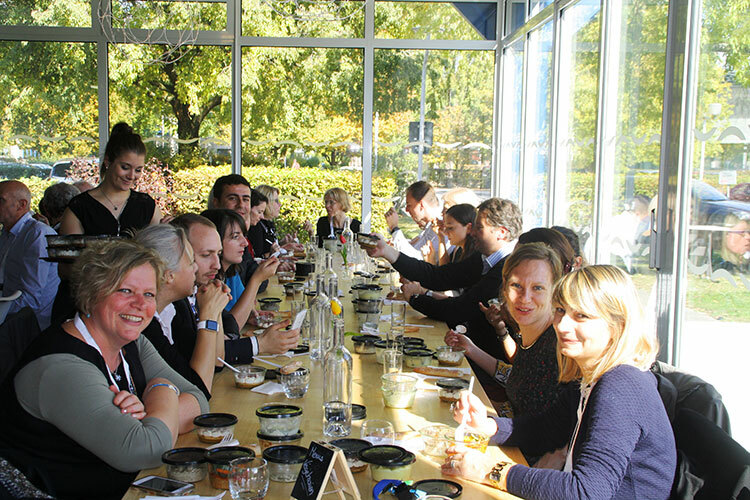 In addition, you are cordially invited to participate in the networking lunches organised in Annecy (Wednesday dinner, Thursday lunch) and Chambéry (Friday lunch). These moments will allow the meeting with the international partners present on this occasion. 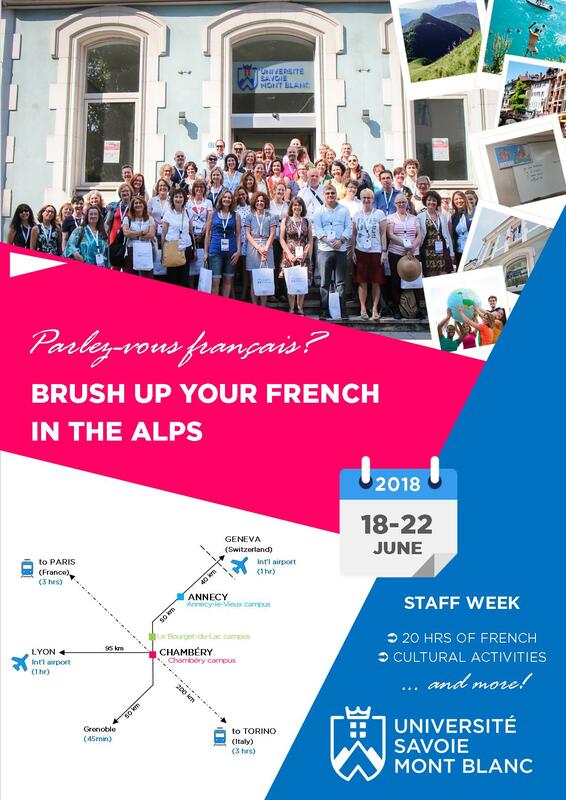 The University Savoie Mont Blanc, 1st French University since 2008 for its Erasmus exchanges, organizes from 16 to 22 October 2017 the third edition of its "international week". Driven by actions carried out within its training units, this highlight of the first quarter 2017-2018 will have the main objective of promoting international mobility as well as cooperation projects with foreign partners. This week organized by the Directorate of international relations (DRI), will be realized by various conferences and workshops organized on each campus to allow students to better understand the opportunities of continuing studies or internships abroad as well as the procedures and assistance put in place to accompany them in their international projects. In parallel, campus visits will be organized to allow international partners to discover the University with its various components and laboratories and to deepen the links with USMB staff. The partners will also present themselves to us at an international mobility fair where a booth will be available to promote their establishments and their trainings. A major event that will bring many international players: foreign partners, staff. the. s of the University Savoie Mont Blanc involved in international relations and student. e.s. A week that will be a new opportunity to promote exchanges between students, teachers, partners and to develop networks of collaborations. For more information, the [programme for international partners] is now available!